Get ready to add a new dish to your dinner menu rotation: chicken bhuna masala! Do you guys see how the onion and tomato masala is all up on this chicken? The chicken doesn’t seem to mind one bit. And neither do I. So What is Chicken Bhuna? Chicken Bhuna (or Bhuna Chicken depending on what you call it) is a “dry curry” which means the masala clings onto the chicken (rather than the chicken swimming in sauce). Bhuna is a method of cooking where you cook onions, tomatoes and meat over high heat – stirring until all the liquid dries up. 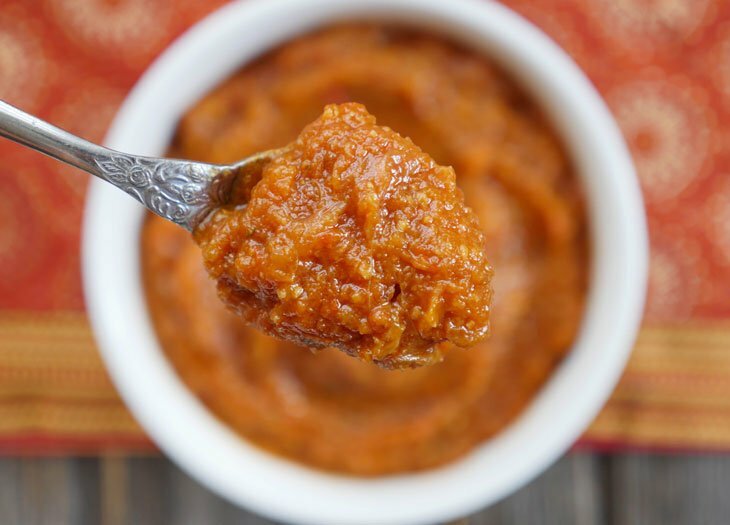 We’re making things much easier with our Instant Pot + our pre-made onion masala. This recipe is part of my onion masala series called: Onion Masala LOVE. This series started out with me sharing recipes using this masala all throughout the month of February but it seems to be so popular that I think I’m going to keep it going as long as there’s interest! My goal: to show you how easy it is to prepare Indian food on a daily basis. 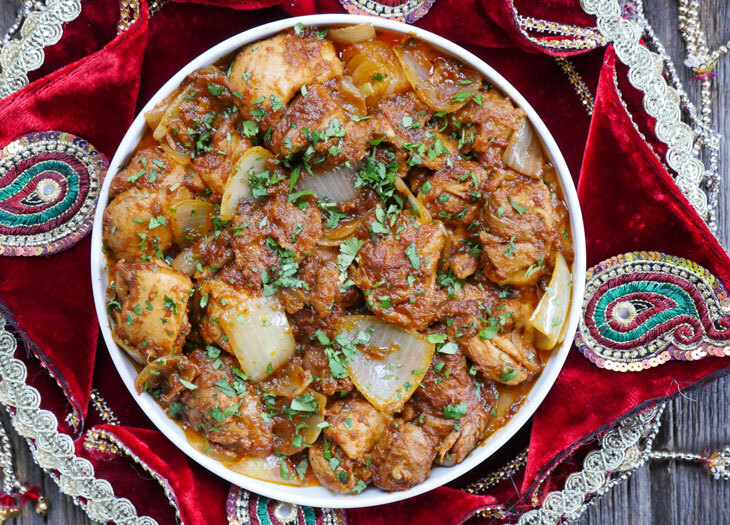 This chicken bhuna is so aromatic and the spice combination is just perfect in this dish. 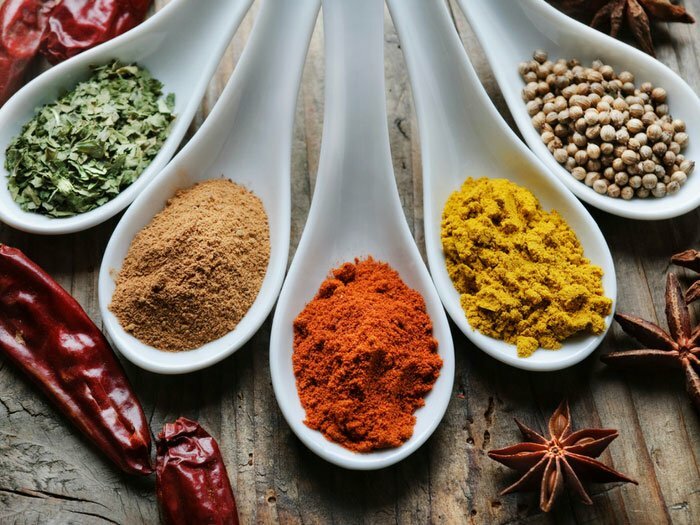 There are a couple spices in the recipe that you may not have in your spice cabinet but they are worth investing in! Black cardamom for example is very different from green cardamom. Black cardamom adds a really nice smoky flavor to this sauce. Star anise adds a hint of licorice flavor. And then I use other common Indian spices like green cardamom, whole cloves and cumin seeds. No Water in the Pressure Cooker? Bhuna chicken is meant to be a dry curry and it does not need additional water because the meat cooks in its own juices. You will be surprised at how much liquid is in the pot once it’s done cooking (meat releases water). If for some reason your electric pressure cooker won’t turn on or is unable to reach pressure then add a tablespoon of water. 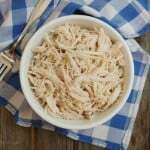 I have a 6 quart electric pressure cooker (Instant Pot) and have made this recipe many times using both frozen and fresh onion masala and I have never needed to add additional water for this recipe. If you do add water, you’ll end up spending more time boiling it off once the chicken is done cooking. My recipe will require you to boil off some liquid at the end, so there is some “bhuna” or roasting required but far less than if you were to make this the traditional way on the stovetop. Press the sauté button, add the oil and allow it to heat up for a minute. Add the whole spices and once they become fragrant, add the chicken and cook for 1-2 minutes. Then add the coriander powder, salt and cayenne and cook for another minute. Add the onion masala to the pot (do not mix), secure the lid, close the pressure valve and cook for 5 minutes at high pressure. Press sauté and adjust heat to the highest setting, add the ingredients listed under ”add later” and cook for 11-12 minutes – be sure to keep an eye on the pot to avoid burning. (You will want to keep the stirring to a minimum at the beginning to allow the liquid to boil off. Most of the liquid will evaporate around the 8-10 minute mark, then stir more frequently until the masala is thick and coats the chicken). This is meant to be a dry curry and it does not need additional water. The meat cooks in its own juices. You will be surprised at how much liquid is in the pot once it’s done (meat releases water) If for some reason your electric pressure cooker won’t turn on or is unable to reach pressure then add a tablespoon of water. I have a 6 quart and have made this many times and I have never needed to add additional water for this recipe. I have tested this recipe using frozen onion masala cubes as well as thawed onion masala and it works both ways. Made this today.. Very tasty. I used chicken breast. i cut it a little too small, so pieces shredded at the end. Cant wait to make it again.. Next time i want it a little dryer. Thanks Ashley. Great series on this onion masala. Pretty ingenious idea. Thanks, Julee! I’m so glad you like the dish and the onion masala series 🙂 If you use chicken breast again then I’d definitely suggest reducing the cook time as the bhuna part will overcook it. As for drier chicken, sauté for longer until the sauce gets as thick as you’d like. Thanks for letting me know how the dish turned out for you! Hi Ashley! How much time would you suggest for 1 lb chicken breast? 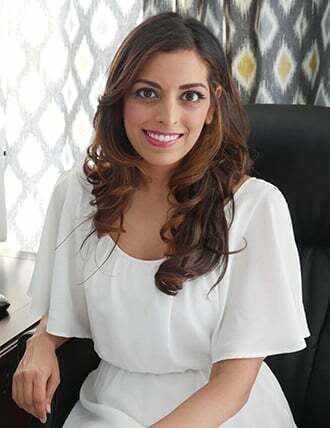 Hi Maneesha! You can do the same amount of time – it’ll just come to pressure a little faster since there won’t be as much chicken in the pot. You can also reduce the onion masala to 1 cup or a little less than a cup. Let me know what you think! Hi Ashley! I made this last night, using 1lb chicken breast, and it turned out spectacularly! Thanks so much for a tasty and quick recipe! I first made your Indian Masala and froze the leftovers, I then made this chicken dish. I’m not a fan of the star anise, so I omitted that… but added everything else the same as you mention in your recipe. It really was “finger-licking” good. 😉 LOL. Thanks for a great recipe, I’ll definitely be making this again!!! can this be made in a nonelectric pressure cooker? if so, what adustments do I make? thank you! I just found you last night. My IP arrived this morning. I’m so excited. I went to the Indian store and bought everything to make this dish. Can you explain the Whole spices. Hi Melissa! So happy you went to the Indian store to get these spices 🙂 So, what I mean by 3 green cardamom is 3 green cardamom pods and 1 black cardamom means 1 pod as well. 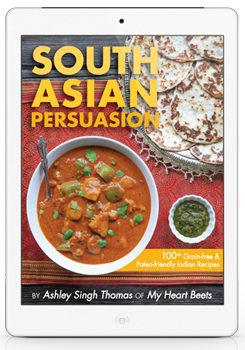 Are you in my Instant Pot for Indian Food facebook group? This would be a great question to ask there – I can share pics with you that may help! I’m running low on my frozen onion masala as well – better get another batch made because I DO NOT want to run out of this little treasure! Carey, so happy to hear that!! Thanks for letting me know how it turned out for you 🙂 And yes, make it soon – I have some great new recipes that I’ll be sharing here soon! Hi Ashley, if I’m using the frozen masala, how many ‘cubes’ should I use (I used the same silicone containers you did)? Also, do I need to thaw it out before throwing it into the pot? Thank you! 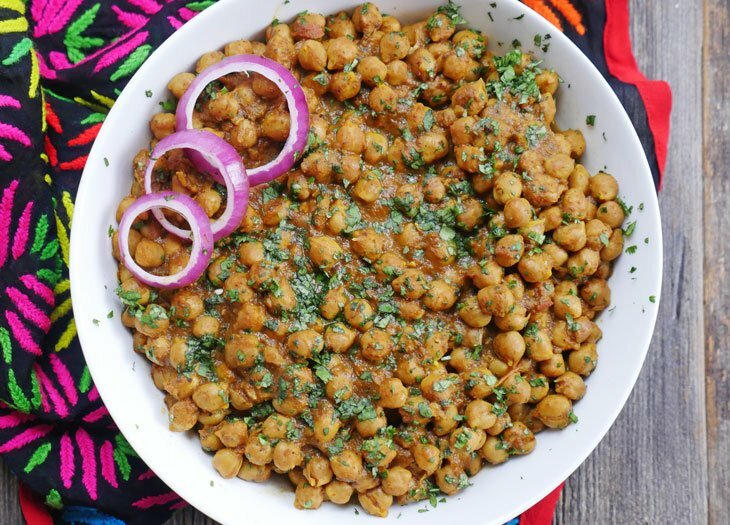 Ronica, each container is ¼ cup of masala so for this recipe you will want to use 5 cubes (totaling 1 ¼ cups of onion masala). 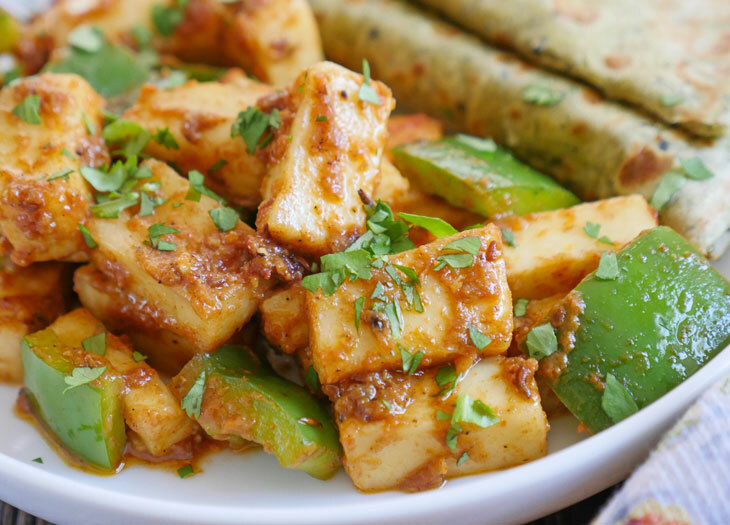 Each recipe says whether or not it should be frozen or thawed – for this recipe you can use either frozen or thawed masala 🙂 Let me know what you think of the dish! 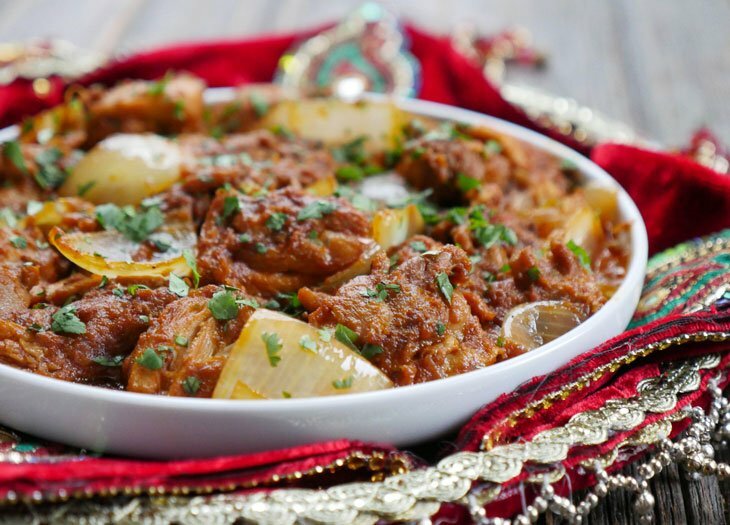 Another amazing recipe using the onion masala make-ahead. I will be making this dish over and over again – so simple and so incredibly flavourful. The leftovers just got better and better. I made the recipe exactly as directed and wouldn’t change a thing. I’m running out of onion masala though! MUST MAKE MORE! Carey, so happy to hear that!! Thanks for letting me know how much you like the chicken bhuna and the onion masala!! 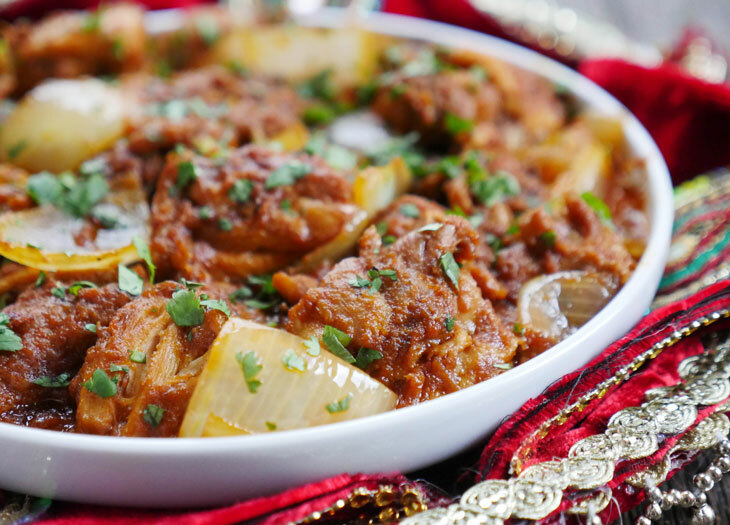 I am in love with the onion Masala and this recipe! I had to leave out the star anise because I didn’t have it, but next time, which will be very soon, I will use it. I’m not much of a licorice person curious what it will add to all the other subtle flavors. I tried it in a 3 quart, and used frozen cubes.. and ended up with a good amount of sauce. Loved it. I’m planning to try it in my 8 qt but I’m a little sure how to scale up the spices and masala for twice the amount of chicken. Any ideas? Hi Ashley! Love your recipes. 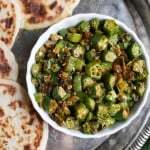 Can I make this recipe if don’t have the frozen onion masala? How much onions and tomatoes in that case? Thank you! Loved the taste of this recipe and will definitely make it again, but I found that 1/4 cup was far, far too much oil! I had big pools of it in my chicken Bhuna. Maybe my onion masala separated? Next time I will try just 2 tablespoons of oil to fry the whole spices. I made this last week with bone in thighs as that’s what I had. Unbelievably tasty! 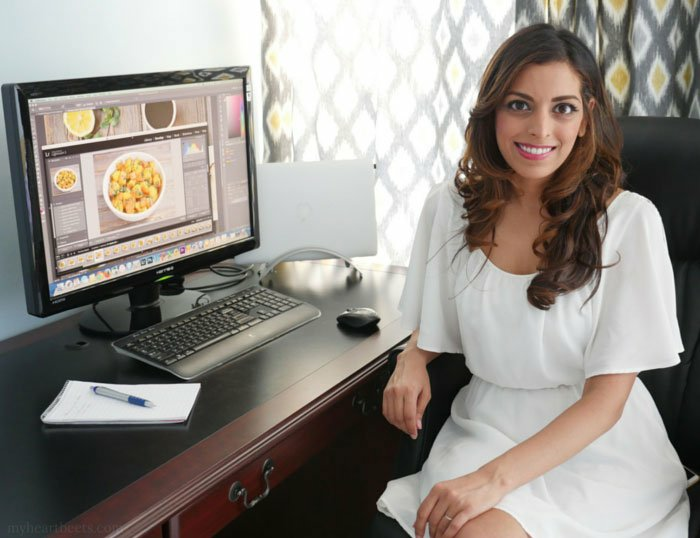 I love your blog so many ch: since I got my IP Indian dishes have been my favourite to make and your recipes are so easy to follow. Thanks! My question today is, have you ever doubled this recipe? Seems I might have to brown the chicken in batches, wondering if you have any input in this. Naomi, I’m so happy to hear that you made and liked this so much! I haven’t tried to double it – if you do, I think browning in batches is a good idea. You may want to first remove all the meat to reduce the sauce – my thought is that with extra chicken, there will be a lot of additional liquid that is released from the meat. Let us know how it goes if you try! Delicious! I cut back the cardamom to only 2 green (my husband isn’t a big fan). We had it over basmati rice and it was so good! Thanks for posting this. Ashley thank you so much for this recipe on your website. 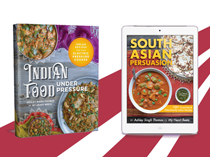 I have now cooked three of your dishes and all of them have come out wonderful I am cooking the chicken Bhuna tonight and even went out and purchased an instant pot because I found your recipes. My family and I love them! Stupid question: with the whole spices am I supposed to ground them up before I put them in the pot I assume no but am I supposed to pick out the star Annise in the cardomons at a certain point or just win the dishes complete? This dish is absolutely fantastic! I was wondering if you had any advice if I was looking to double or even triple this recipe….would you 2x or 3x the onion masala? I’ll be happy to figure it out through trial and error but would rather use more of my precious onion masala than I need to! Delicious! I made this twice and it was amazing both times. Aradhna, that’s so great to hear! Thank you for letting me know how much you like the bhuna! Hi Ashley, Thank you for your recipes – I even impressed my mum with the recipes I’ve done so far. Just wanted to ask if you can do this recipe with frozen chicken thighs or do I need to defrost first. Heard that you can cook from frozen with the instant pot but not sure if I believe it. Thanks so much. Abhi, I’m so happy to hear that! I haven’t tried it with frozen thighs so I can’t say for sure but I bet it would work if you add an extra minute or two! If you try please let us all know! I finally got a chance to try this recipe (I made the onion masala months ago! ), and again, another 5-star recipe that my family loves! Thanks, Ashley! This is superb! Absolutely restaurant quality curry, made in our home with this recipe. You were right Ashley! I scraped the pot after to get everything. SO GOOD! Almost speechless. Bought an IP yesterday for various cooking reasons but primarily because we wanted to make Indian dishes more frequently (we’ve built up quite a spice collection but until we moved them to small Mason jars on the wall-mounted racks it was tough to find what we needed). 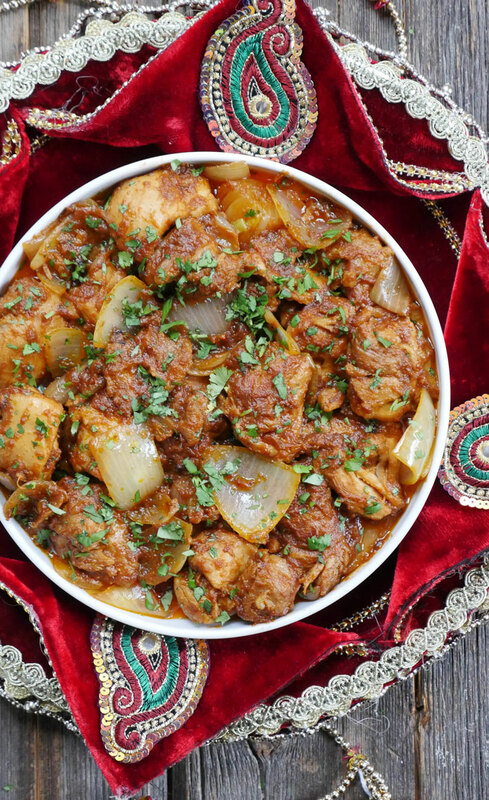 Came across this recipe and since we love lamb bhuna, thought I would try it – ended up making gobi masala, your onion masala (now in ice cubes in the freezer) and finally this fantastic recipe. To those using chicken breast, I would say to Give the Thigh a Try, since it is so much more flavorful & tender & moist, and REALLY lends itself to this deep flavored sauce. I could not get over how multi-layered of a flavor I could get cooking it this quickly. The onion masala certainly helped I’m sure…and wow, the IP has already earned a place in our cooking routine. Great recipe!! My daughter and I made this dish last night and it was delicious. Super simple in the pressure cooker and so tasty. I am new to your sight but have now made 5 recipes from the pressure cooker range. I have never cooked Indian food before and now I realise how much my family and I have missed out on some amazing new food. 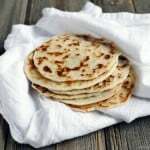 Your recipes are wonderful to understand and very easy to make. We are having goat curry in a hurry tonight. Very excited to try this recipe as well. Thank you for all the effort you put in to your recipes. Julie, I’m so happy to hear that you’re liking all the recipes you’re trying from my site! Thank you so much for letting me know how you’re enjoying them! I hope you love the goat curry as well! Courtney, I’m so happy to hear that!! Thank you for letting me know how this and the aloo baingan turned out for you 🙂 Can’y wait to hear about other recipes you try! Hi Ashley, a few questions…1. can this be made a day or two in advance? will it re-heat well or will it be too dry? 2. can i use frozen thighs? 3. can i put all the whole masala in a cheese cloth so its easier to take out? or will that not let the flavors through? thanks so much! Hi Sonal! I’ve made this a day in advance and it reheated perfectly in the oven the following day 🙂 I haven’t tried this with frozen thighs – I wonder if they might release too much water. I also wouldn’t use a cheesecloth for this recipe – the spices should heat in the oil. Hope that helps! Onion masala is ready and the bhuna will be, right after I finish typing this.. 🙂 What are your thoughts about inclusion of yogurt while cooking the bhuna? Chicken cooks really well in yogurt and it blends well with chicken juices and spices… Thanks for the delicious recepie! Hi Max! I haven’t tried it that way but that sounds great! I might have to try using a couple tablespoons of yogurt next time I make this! If you try it this way, let me know how it goes! I was wondering if I could make the chicken bhuna in advance and freeze it. I make this almost every other week and freeze with no problems. 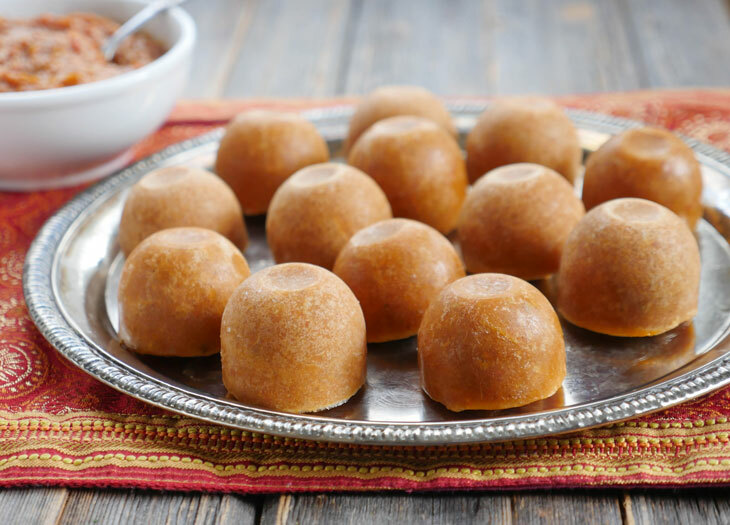 My family loves this dish along with many of your other recipes! The onion masala is a time saver! 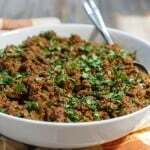 Have you made beef bhuna? I’m thinking of making this recipe with sirloin beef. I’m so happy to hear that! I haven’t but it sounds delicious – let me know how it goes if you try! This was fantastic! I could have eaten the whole pot. Thank you. Melissa, I’m so happy to hear that!! I used some frozen chicken drumsticks- removed the skin first. I had 12 legs, so the spices and onion masala had to be proportionately increased. It is delicious- as you said, it is finger lickin’ good. This recipe is a home run! Since I have never eaten this dish before, I have no other version of this dish to compare to, and I dont know how “dry” the curry actually should be, other than from the on-line pictures. But, mine resembles the pictures…and as I have already said, it is delicious. Lizze, that’s awesome!! I’m so glad you made and liked this chicken bhuna! 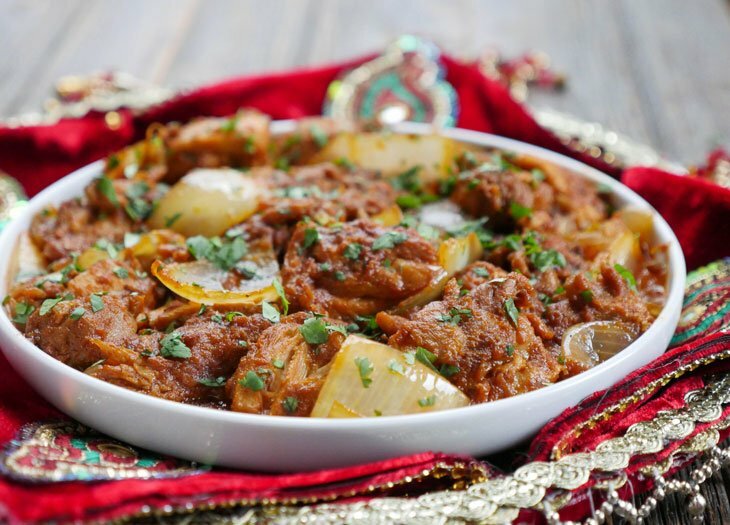 Hopefully you’ll try and like more onion masala recipes – they are a big time saver!